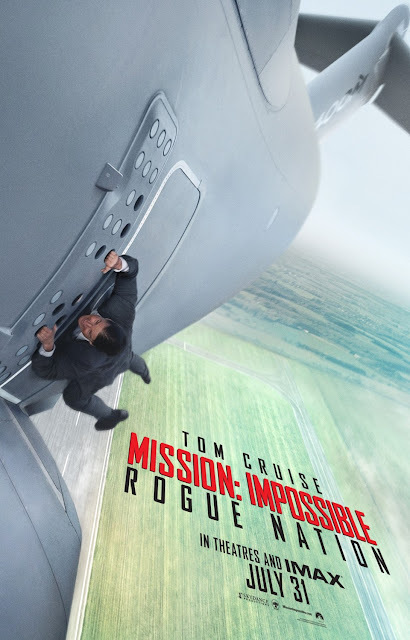 Mission: Impossible Rogue Nation stays true to the previous Mission Impossible films, by keeping a high level of suspense at a point that will have you gripping the edge of your seat. Even better, those suspenseful moments don't always play out the way you may expect. The stunts and chase scenes are really exciting and thrilling to watch including one stunt scene in particular. Tom Cruise trained himself extensively to do this scene, and when you see it, just ask yourself if you would be able to do that same stunt for 3-5 minutes. (I think I failed at 45 seconds....yeah, I would've died) :-/ As for the actors, Tom Cruise is like James Bond after drinking five Red Bulls. Simon Pegg returns from the previous film with an expanded role, and he brings in the occasional comedic humor to lighten the mood. Rebecca Ferguson does an excellent job in her role, and draws a lot of similarities to Scarlett Johansson's "Black Widow" character in the Marvel films. Since this is a spy/espionage movie that's heavily based on deception, I kind of wished they had been a bit more mysterious with Rebecca Ferguson's character. For the most part, you are a little curious about who she is and what her true motives may be. However, there was a lot of room for them to make her so much more mysterious of a character, that I think would've added a nice layer to the movie. If you recall from Mission: Impossible 4 Ghost Protocol, one of the coolest things were the new cutting edge technology that was used. While there was maybe one or two cool devices featured, for some reason the gadgets just didn't feel as amazing. Kinda felt like you could just do a Google search and buy one on Amazon.com. Overall, this was a very entertaining, thrilling ride the whole way through. If you loved the previous Mission: Impossible films, then Rogue Nation won't disappoint. The trailers don't give anything away, which is a huge plus! Matter of fact, that plane scene that's in the movie post above and the trailer, is one of the first scenes in the movie. So there are plenty of action scenes and death defying stunts for you to enjoy for the entirety of the film. (Which by the way, Tom Cruise does all of those stunts himself. He makes being 53 years old look like the new 30!) This movie is going to be released in IMAX. So if you just got paid and feel like paying a little extra for the better sound quality, then be my guest. I think you could watch this in standard or IMAX format and be happy either way. Jake Gyllenhaal is the brightest light for this film. He effortlessly delivers a great performance in a character that deals with a wide range of emotions. The interactions with Jake and his daughter are put in the forefront of the movie, and at some points in the film, will attempt to tug at your heart strings. Forest Whitaker's supporting role brings in a nice touch to compliment Gyllenhaal, and even has a few humorous moments. For the most part, the actual boxing matches are engaging due to the raw emotion Gyllenhaal displays, which pulls you further in. It's really hard not to instantly think of and compare this movie to Rocky. If Rocky is to be one of the best boxing movies we have to use in comparison, this falls short. This movie isn't entirely a "Boxing movie". It's a more like a drama that has boxing in it. You spend a good majority of the film with him dealing with GyllenHaal's character dealing with his personal issues, more so than you see him actually fight. I don't want to belittle this movie, because it wasn't a horrible film. Gyllenhaal falls victim, yet again, to the same thing that happened to him in his previous movie "Nightcrawler"; great acting in a "just okay" movie. 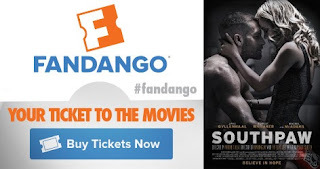 It's worth a watch in some capacity (matinee, or download), but I'm not sure this is the type of movie that will demand for you to rush to the theaters to see. From beginning to end, the humor and comedic element probably stands out the most for this movie. There were constant chuckle worthy moments, and a few laugh out loud moments that make this movie "Funny" but not "Hysterical". Best of all, none of the humor seemed forced in any way, and all seemed to just flow seamlessly throughout the film. 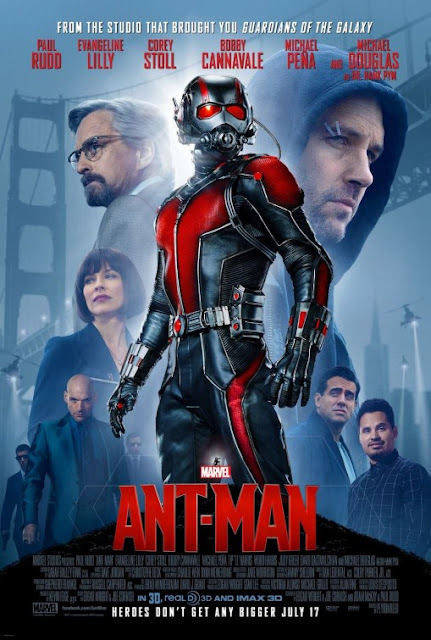 Unlike in the comics, there's an an interesting twist with Michael Douglas's character, Hank Pym, that fits well with Marvel's other properties. It's also easy to relate to Paul Rudd's character (Scott Lang/Ant-Man) due to his wit and charisma. It's probably fair to say that Michael Peña comes very close to stealing the show with all of his funny scenes. The action scenes were nicely done and there is a surprise scene that I cannot describe without spoiling it, but it was a nice addition for the sake of continuity based off of Marvel's previous film. (Update: Marvel has ruined the surprise. Click Here if you don't mind the spoiler.) A final interesting tidbit is the CGI that's used in the film is remarkable. If you can't notice or tell what I'm talking about when you watch the film, then that's a testament to how good the CGI was implemented. Majority of the film is very predictable and done in a pretty standard cookie cutter fashion. They drop so many obvious hints and foreshadowing that the main plot is pretty much laid out before it plays out. While Paul Rudd does a good job overall, this role is not much a stretch for him. If you're not a fan of Rudd's previous performances or his comedic style (This is 40, Knocked Up) then you may be disappointed yet again. The 3D element was a fail. There were some good opportunities to really make the 3D effects stand out, but you can't help but get the feeling that Marvel simply didn't want to put any more money into special effect in those scenes. Maybe it's just me, but I was a bit taken back at the amount of cursing that was in the film. There were a lot of "S" bombs dropped and it just didn't seem like Marvel/Disney's style with such a potential kid-friendly superhero character. The main question many of you will have is "Was this better than Avengers Age of Ultron"? To that, I will say...wrong comparison. Avengers Age of Ultron was a different type of movie; it was a "superhero movie" with super heroes starring in it. 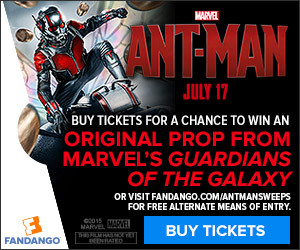 Ant-Man is a "heist movie" that just so happens to star a super hero in it. This is similar to Captain America 2: Winter Soldier being a "spy conspiracy movie" that happened to star a super hero. So it's difficult to compare the two films head to head. The closest comparison would be to Guardians of the Galaxy because, along with Ant-Man, it was a film about some relatively unknown characters. I'd say this movie can be considered a success primarily due to making an unknown character interesting enough that they can become fan favorites in futures movies. To sum up the overall impression of this film, I'd say it's funny, entertaining, good, but not epic. It's well worth the watch in theaters, and even on DVD or download when it becomes available. Feel free to skip the IMAX or 3D versions of this film in theaters and save some money. Oh and don't forget, there are two end-credit scenes. One is in the middle of the credits, and the other is all the way after the credits. The Good: One thing you can count on is that there is a lot action just like in all of the other Terminator films. There are some nice fight scenes where the Terminators display just how powerful they are, and it adds to making some really suspenseful moments. 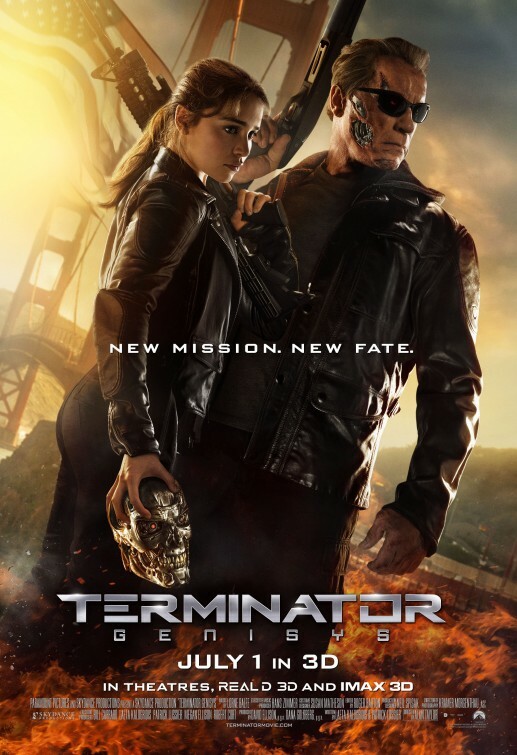 The director makes an honorable attempt at paying homage to the previous Terminator films by including some blasts from the past characters and references. Emilia Clarke (aka Daenerys Targaryen aka Khaleesi for you Game of Thrones fans) does a nice job of playing a tough, yet emotionally conflicted Sarah Connor. Of course, Arnold Schwarzenegger is just as charismatic as he was in Terminator 2, and fulfills his role that just so happens to conveniently cater to his acting strengths. The Bad: The trailers absolutely ruined this movie for me. As you know, they give away one of the biggest plot twists. As you see it play out, you end up just sitting there waiting for it to happen with an anticlimactic feeling. While there are quite a few action scenes, they end up feeling dated. Terminator: 2 came out way back in 1991. Had Terminator Genisys come out in the late 90's or early 2000's then the actions scenes would have been more fitting. The action just seemed like rehashed scenes from Terminator 2, with a minor upgrade. It just felt like they missed a good opportunity to show us action scenes that we haven't seen before. Oh, and Jai Courtney was just blah to me. Don't know what it is, but he just doesn't scream action star to me. The Reason: This is a tough one because this film had the potential of going from "good to great" but instead ended up going from "good to just okay". If you never saw the trailer for this, then there's a decent chance you'll enjoy this film more than someone who did. This had the potential of also being a great sequel after Terminator 2, but now I'm just not so sure. You know I try to save you some money in the theaters, so by all means you can safely avoid the IMAX 3D and even the regular 3D. There were only 2-3 scenes where it's noticeable, it's just not worth it for the high ticket price. Matter of fact, see this movie for the matinee price. Don't feel pressured to go see this in theaters. It's an okay watch during the holiday weekend, but not necessarily a must see in theaters. Oh yeah, there's a very predictable end credit scene during the credits as well.